A heap of old suitcases and a smile was enough for me to feel the thrill of old time when people travelled on the train for days. Those old times, I've witnessed only in movies, so I guess the feeling wasn't lived but learned. Nonetheless, it is present and alive wherever it comes from. The usage of a single hue works strong toward creating a full sepia look. 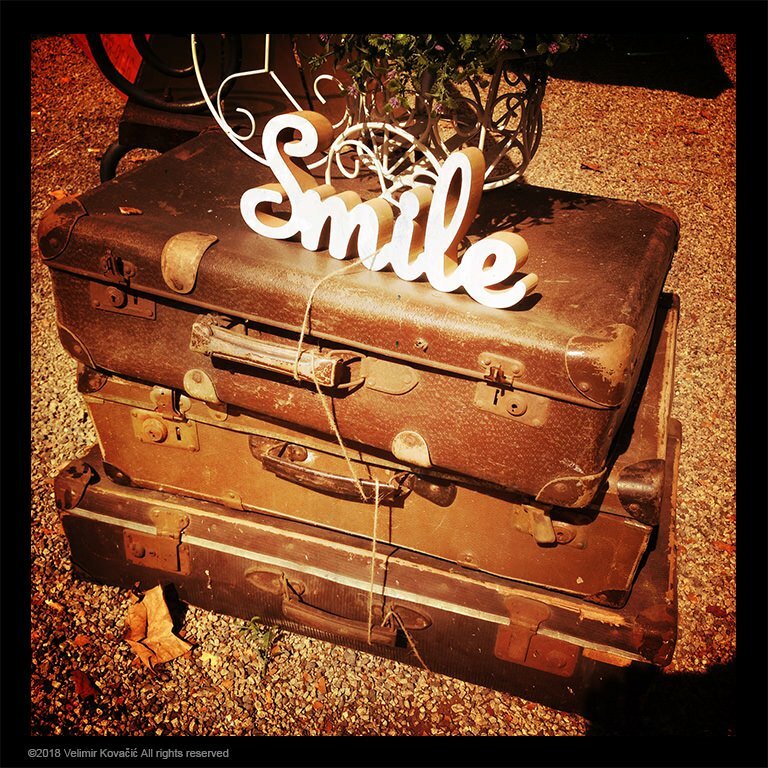 Packed together with a quite dynamic contrast range, the letters saying 'smile' take over the focus of attention and put suitcases in the background. All elements combined together deliver a message of happiness and adventure. So, travel and smile! Did you notice the thin thread?